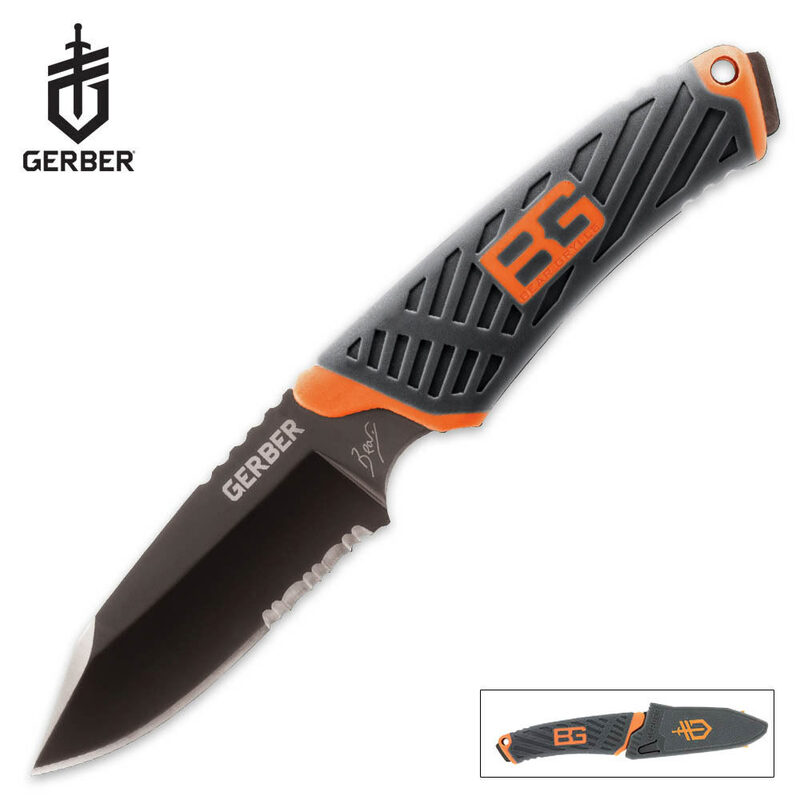 Gerber Bear Grylls Compact Fixed Blade | BUDK.com - Knives & Swords At The Lowest Prices! Compact and indestructible, this full-tang knife is designed to be a smaller, bare-bones survival knife that stays close at hand. The durable rubber handle is ergonomically shaped for a better, more comfortable grip in all types of weather. It includes a lightweight plastic sheath that clips to a belt or backpack and Bear’s “Priorities of Survival” guide. For light and fast day trips into the woods the compact fixed blade is the right knife. I bought this knife and was a little skeptical but when i got it i was amazed at how sharp it was, the next day i went on my annual elk hunting trip, it stood up to every test i put it too weather that was carving batoning or anything else. the only complaint that i have is that the handle is a little too thin but when you start to use it you totally forget about that and its so easy to carry in so many ways that it makes it a perfect utility knife.